Why play at Unibet Poker? Unibet Poker now boasts an award winning standalone poker room which offers a range of profitable poker games running in a fun, relaxed, beginner friendly atmosphere. 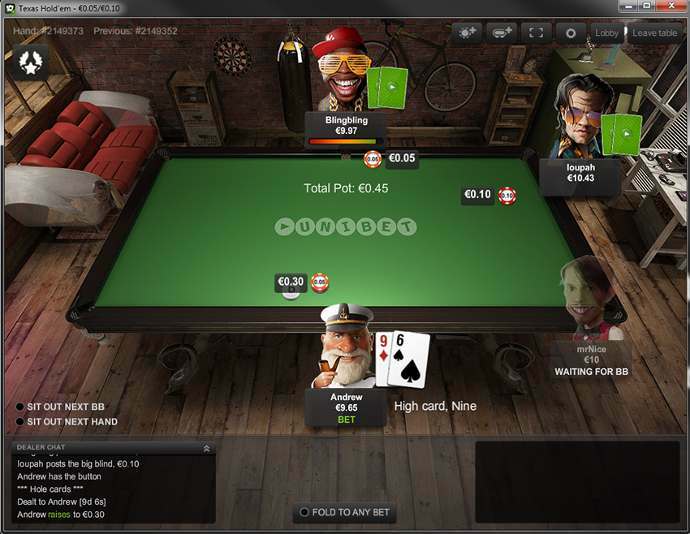 In February 2014 Unibet Poker moved from the Microgaming network to their own brand new standalone poker client, which has since won a European Poker Award for "poker innovation of the year". The new software is highly beginner friendly and has many features around building your own personal poker story. Their strong online sports betting brand sends many new players to the poker games. Unibet is an internationally renowned sports book, with an award winning private online poker room. The new, beginner friendly software was released in 2014 and has many features interesting for all types of poker players. You can change your poker screenname up to 3 times per day, giving you optimal privacy while playing. Also on Unibet Poker you will find the popular fast fold poker variant and many qualifiers for the Unibet Open live events. On top of the highest available poker bonus on Unibet Poker, there are more advantages for you as a player from PokerStrategy.com. You receive 4 StrategyPoints for every €1 you rake on Unibet Poker. Unibet Poker was founded in 1997 and based in Malta, where they are licensed by the Malta Gaming Authority.